How to unblock US websites at any location with Le VPN? Let’s say you move to a new country and to your complete surprise, the websites that you accessed easily are no more accessible. Why? Because of your geographical location. Now you must also be knowing about restricted websites. You see, your government might decide that a certain website is a threat to the national security and might get in the way of it. In that case, the government might choose to restrict the website. In order to unblock websites, you would need a network that can allow you to access such websites. This is where a VPN comes into the picture. It can help unblock US websites at any location. How VPN Help Unblock US Websites? When you connect your device to a VPN, you can unblock such restricted websites. For instance, if you are using a VPN based in the United States, you will connect to the local network based in the States. It doesn’t matter what your actual geographical location is, the VPN will alter your IP address for your benefit. So that way, you are able to unblock US websites anywhere and also any websites in the US. If you want to access a website that is inaccessible in the US you are residing in, you can use the VPN of a country where the website is accessible. A VPN is a very easy and affordable method to unblock restricted websites in the US. The virtual private network acts as a kind of middleman basically. Are you are trying to access a website that is not accessible in your location due to geo restrictions? You can use a VPN which would request the service provider. A VPN will help unblock it by using IP of a different nation where the website is openly accessible. Although you might be using a service provider based in another country and you might be using a VPN to unblock US web links, you can rest assured, it is completely safe. Look, the internet was meant to be free for all – without government restrictions to get in the way. It is not fair that you should have to suffer for the sake of others. Also, keep in mind, a virtual private network is a whole lot safer than shared internet or public wifi. In the case of the latter, the data that is transmitted is not even encrypted – something that a virtual private network ensures. 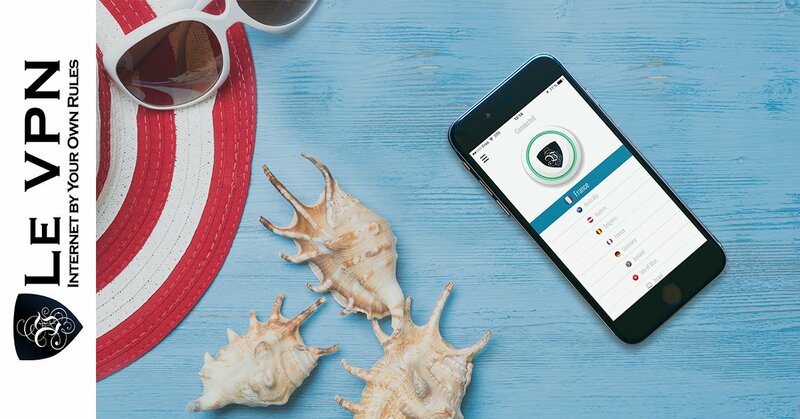 When you use Le VPN, your data is absolutely safe and transmitted in the form of encrypted packages. So, you wouldn’t really have to worry about leaks or hacks, even if you’re transmitting sensitive information. So, if you haven’t tried out Le VPN to unblock US websites, you must give it a try today!